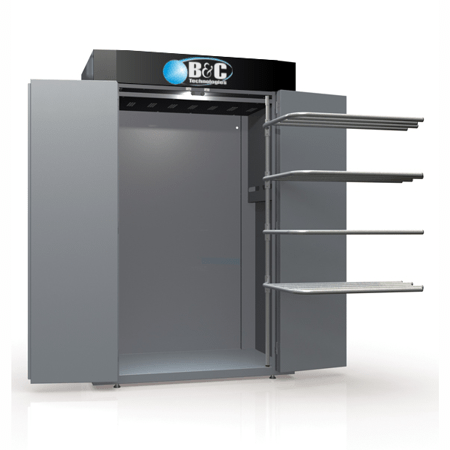 B&C drying cabinets offer efficient hang drying for sensitive garments that should not be tumble dried, drying without mechanical action at exactly the right temperature and humidity. 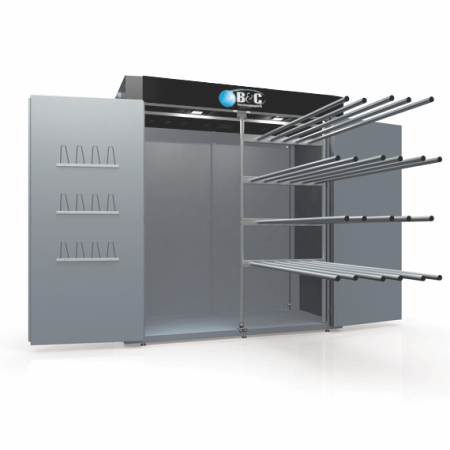 Featuring low energy consumption and short drying cycles comparable to standard tumble dryers, the TS cabinets have large internal hanging space with racks that swing out for easy loading and unloading. A built-in sanitization program greatly reduces allergens and bacterial contaminants while manual and automatic programs allow for total flexibility during the drying process. Ease of use features include interior lighting, doors that open 190 degrees, adjustable feet, and a large easy to read control display. Have any questions about the TS Series? We'd love to hear from you. 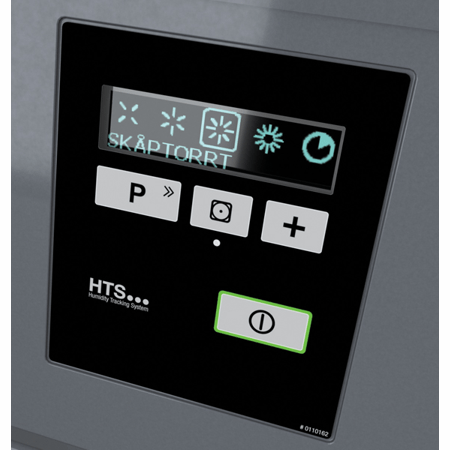 Simple control with our unique patented Humidity Tracking System (HTS) measure the humidity in the cabinet each second and prevents overdrying and excessive energy consumption.